Here is a link to a delightful video on Pollination and Protecting Pollinators; produced by WSU Extension service. The video is a little over 52 minutes long. Great video! 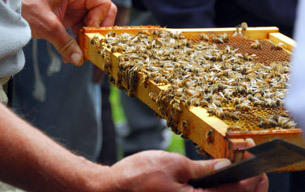 Am specifically interested in two aspects: Info re starter and any optimum dosage of Host Defense extracts noted in study by Dr, Sheppard and WSBA, and also future availability of queens from your outbreeding program to beekeepers outside of Washington state. I am in Western NY near Buffalo in the semi-boonies (wouldn’t have it any other way! ).